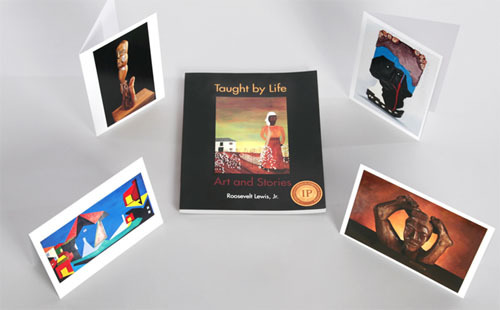 This collection of twenty-five years of my paintings and sculptures are accompanied by stories about my life and the people I grew up with on the Cane River in Central Louisiana and their individual struggles to overcome and find a better place in life for themselves and their children. This book is interesting to people looking for personal stories of African American lives in the southern United States, as well as to readers seeking to celebrate the power of art and human resilience. You can order the book via Paypal . 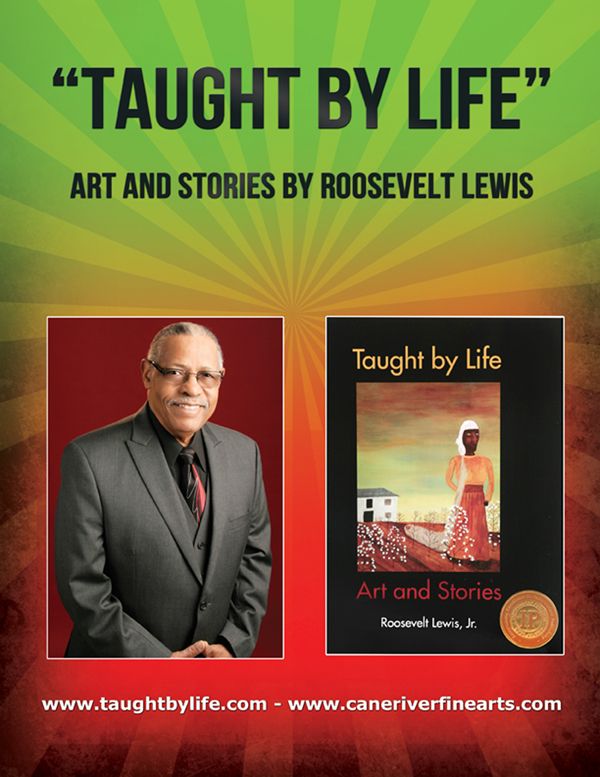 You can also purchase books at the Seattle Art Museum Store (SAM), Northwest African American Book Store (NAAM), Columbia City Art Gallery (Seattle) and The Schomburg Shop - The New York Public Library Shop. You can also order books ($24.95 + $8.50 shipping and handling) and the greeting cards ($24.00 + $8.50 shipping and handling) by mail, send a check or money order to 7 Northeast Productions, LLC - P.O. Box 78215 -Seattle, Washington 98178 or go to www.taughtbylife.com. Order using the button below.